Recently, a number of music industry projects have turned to a particular technology as a possible solution to these problems. These include Mycelia, launched by singer, songwriter and producer Imogen Heap, and Dot Blockchain Music, launched by PledgeMusic founder Benji Rogers. Then there’s Ujo Music, Blokur, Aurovine, Resonate, Peertracks, Stem and Bittunes, which already claims users in 70 countries. What links these projects is that they all are based on blockchain. Blockchain is the software that underpins bitcoin and other cryptocurrencies. Comprised of blocks of data cryptographically chained together in chronological order, it has two key features. It is immutable: data cannot be modified. And it is distributed rather than centralised: many exact copies are maintained independently of each other. Blockchain technology has been touted as the answer to problems facing industries as diverse as banking, the diamond trade, online gambling and fashion – even how we govern society. How might it help musicians? The first problem facing musicians comes down to the fact that no comprehensive database of music copyright ownership exists. There are several databases, but none features every track in existence, and when a track appears in more than one database the details don’t always match up. The blockchain, as Vinay Gupta put it in a recent talk, is both database and network. If music copyright information were stored on the blockchain, via a cryptographic digital fingerprint (like a barcode), then up-to-date information could be accessible to all users, rather than being held by particular gatekeepers. The second problem is payments. Listeners can access tracks immediately with a click, yet according to a Rethink Music report it can take years for royalties to reach those responsible for making the music. Smart contracts, implemented on the blockchain via software, could split royalties in agreed proportions as soon as a track is downloaded or streamed. Such micropayments might not be feasible with current systems, but systems built around using cryptocurrencies such as bitcoin could facilitate payments in fractions of pennies. Third, the mechanism by which royalties are calculated and paid is often opaque. Some revenue ends up in a “black box” beyond the reach of the artists and songwriters to whom it rightly belongs. In a culture of confidentiality and non-disclosure agreements, artists (or their managers) cannot properly audit their payments if they are not certain how much they are due. The final issue is cash, required upfront to help musicians create new music. It’s often said that artists no longer need record labels, but funds are required to compete commercially – and that still usually means the backing of a substantial label, especially one of the three remaining “majors”: Sony, Universal and Warner. The transparency offered by blockchain technology could help attract new funders, including investors currently put off by the difficulty of seeing a clear route to profitability for musicians. It could also see the emergence of “artist accelerators” similar to those available for tech start-ups, where early support is rewarded by a stake in future income, monitored and paid automatically via smart contracts. The same transparency and traceability could encourage crowdfunding, with artists issuing shares to be cashed in against future earnings. This is new technology and new terrain. Away from the music industry, another blockchain-related project called The DAO (a “decentralised autonomous organisation”) crowdsourced millions of dollars of funding, only for the site to be hacked and the money stolen. Bitcoin survived a similar crisis when millions were stolen during the Mt Gox scandal, so while this won’t spell the end for blockchain technology it is a reminder of the risk, as well as the potential. Blockchain has the support of banks and even some governments, and there has been significant investment in a number of industries, including music: Stem, a company that tracks and organises revenue from streaming platforms, raised a reported US$4.5m earlier this year. Certainly some claims made of blockchain are inflated, but blockchain does have the potential to transform the music industry. We have to consider, though, whether this is the right way of looking at it. 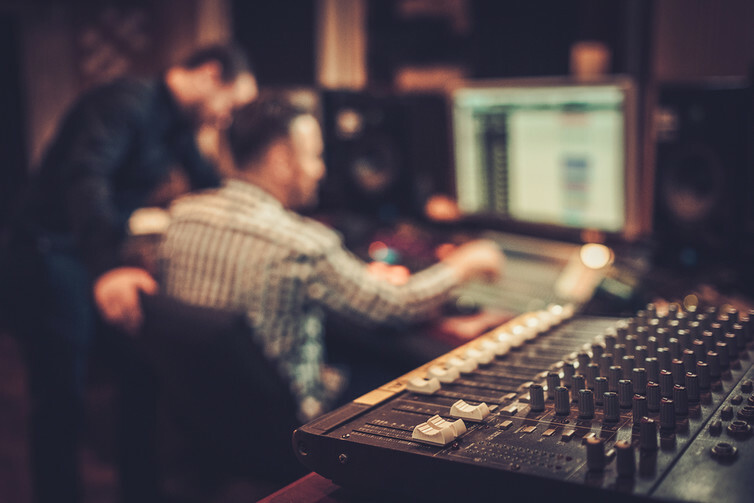 For one thing, there isn’t a single music industry – sometimes, wrongly, assumed to be synonymous with the record industry – but multiple music industries. Blockchain technology would not necessarily affect them all in the same way. In any case, the fact that change could happen is no guarantee that it will. There are considerable barriers to overcome, from issues with the cryptocurrencies themselves to concerns over the integrity of the data, as well as the resistance of industry figures who perceive this new technology as a threat. Perhaps we should not ask whether blockchain technology has the capacity to change the music industry (singular). Instead, we should ask whether the will to change exists and, if so, where; how the considerable barriers to adoption might be overcome; and what the effects, both positive and negative, might be on a number of music industries. With my research colleagues at Middlesex University, in a report and at a panel discussion in London, these are the questions we’re asking. But it’s only the start.